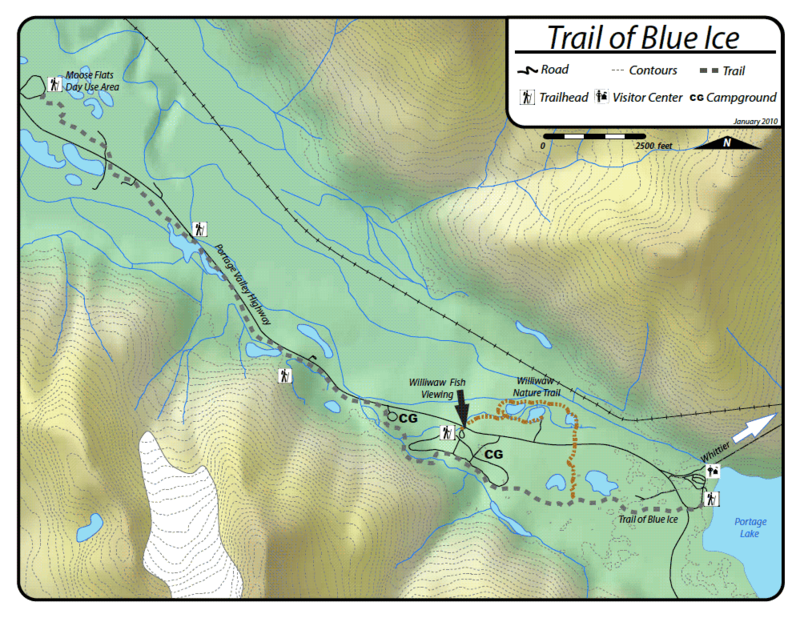 Beginner bike trail in the Moose Flats Recreation Area in the Portage Valley. 10 Miles Round Trip add another 4 miles if going to Bryon Glacier. 10 Mile drive south of Girdwood.